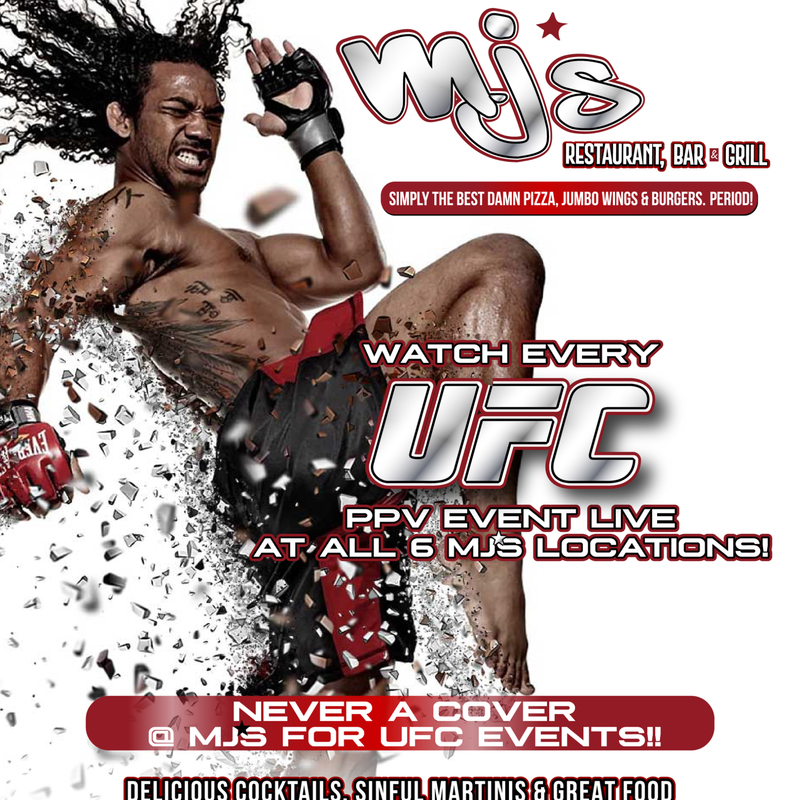 MJ's is the only place for you to watch every UFC Pay Per View Fight without paying a cover ever! Come hungry because MJ's offers delicious food and sinful cocktails. Don't pay to watch a UFC fight at home. Get to any MJ's location, grab an ice cold beer, relax, and watch the fight- no cover!